Usually Ships in 22 Days. 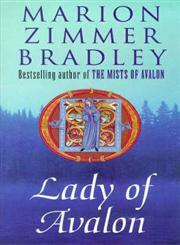 The Title "Lady of Avalon " is written by Marion Zimmer Bradley. This book was published in the year 1998. The ISBN number 0140241930|9780140241938 is assigned to the Paperback version of this title. The publisher of this title is Penguin Books. Lady of Avalon is currently Available with us.